There was a time when silence reigned all over my village. Rivers were loud, but their rhythmic sounds were part of the silence. People worked in their fields with hoes. There were no cars, no factories. I imagine that to Westerners that time and place would have resembled the Stone Age. Planes flew over the village, but never more than once a week. There was another season that broke this silence. It was the time of crops growing. From the early stage of the seeds’ sprouting, parents would send their kids into the fields to make noise and chase away the birds that ate the seedlings. This went on for a month, and after that the silence would come again. I enjoyed the quiet, but it did not last. Another season erupted and broke all the silence. It was the season of war. It came in the fall when I was four, and it lasted for more than a decade. In this new season, just as in any other, some things died and others were born. Everything was transformed. When the militia attacked a village, it left behind the remains of the dead — people and animals — and the houses in ruin. People moved from their houses to live in the forests. New words appeared — ibinywamaraso (“the blood drinkers”) and ivyamfurambi (“deeds of the wrong first born”) — and new expressions: kamwe kamwe ku ruyeye ku rwembe (“one after another, gently on a razor”). This slogan and others like it said not to worry if you did not kill many people. The secret was to keep killing. This new season made children my age wish they had been born blind and deaf so they couldn’t see their houses being burned and their mothers being raped before being killed, or hear the sounds of bombs or their parents screaming and crying. But at other times, you wished you had the eyes of a hawk and the ears of a deer, so that you could distinguish, in the dark, a black stump with branches from a man dressed in black pointing a gun, or a thin string tied to a mine from a long blade of grass lying across your path. These were times when you needed to know that the sound of raindrops falling on leaves wasn’t that of militiamen approaching on tiptoes. For a while you wished for something, and after another while you wished for the opposite. You learned to cover your eyes in the day; you learned to see in the dark. In the East African nation of Burundi, civil war raged for more than a decade between the Hutu and the Tutsi. In creating a portrait of his life, his family, and his childhood experiences during this long war, the author’s personal narrative intersects with the larger currents of history. It is layered with his perspective of living in America for eight years, finding this new home both a privilege and a source of longing and pain. The book is at once a testament to the enduring traditions of Burundian culture, and a deeply researched investigation of the country’s political and cultural history, from the effects of colonial exploitation to the recent conflict. The story of resilience, diaspora, and the refugee experience is also the intimate story of a family, and of a young man making sense of what remains. 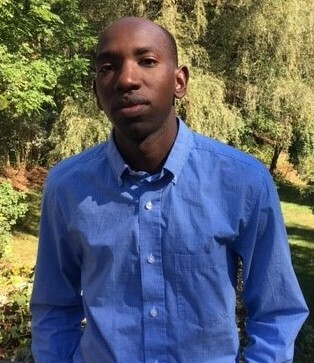 Pacifique Irankunda was born in Burundi and came to America at the age of 19 as a scholarship student at Deerfield Academy. His first published work, “Playing at Violence,” appeared in The American Scholar and won a 2015 Pushcart Prize. He graduated from Williams College in 2013 with a degree in psychology and political science. He lives in Williamstown, MA. The grant jury: A radical innocence infuses this luminous, beautifully wrought narrative of growing up amidst the violence of civil war. What surety of writing! And not just in the poetic beauty of individual sentences, but also in the mature control of the book’s structure. Despite the complexity of what Pacifique Irankunda has lived through, his voice is direct, the stories like pure running water on the page. As a child, this young Tutsi listened, rapt, to the stories the elders told before the oral tradition of thousands of years, long under threat from the encroachment of colonialization, was wiped out by war. In his peerless testimony, as transparent as it is true, he brings the reader into the deep waters of genocide, diaspora and the refugee experience. This will be recognized as one of the most astonishing debuts of a generation.